The Electrical Line Technician Program prepares students to install, maintain and operate electrical systems to supply electric energy to residential, commercial and industrial customers. Northern Michigan University (NMU) provides the program instruction, implementation and certification. The first class of line technicians graduated in 2004. To date, over 76% are successfully employed, earning family-sustaining wages with benefits. The demand for young people in this vocation across the United States is very high. The Electrical Line Technician Program operates at the Midwest Skills Development Center – the former K.I. Sawyer Air Force Base in Marquette County. The program was developed by the Lake Superior Community Partnership Foundation and is a part of Northern Michigan University’s Technical and Occupational Sciences Department. We are currently accepting applications for the 2019 class. Students can begin this process by first applying to NMU. 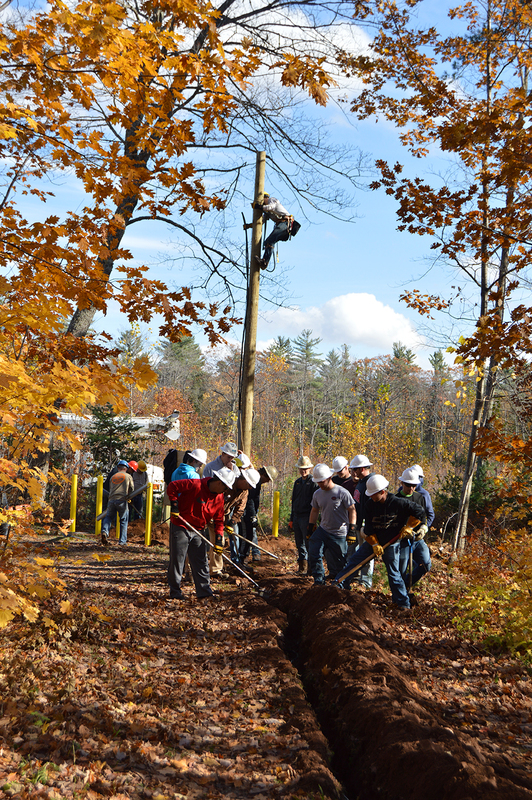 After acceptance, students will be contacted regarding admittance to the Line Technician Program. For applications, click on the Application Form link (right). For more information about the program or a presentation contact Jon Teichman by phone: 906-227-2650 or email: jteichma@nmu.edu or visit www.nmu.edu/tos. Northern Michigan University certifies the program. Through the applicant screening process, skill levels in the areas of reading comprehension, writing and grammar, arithmetic and elementary algebra are assessed. If the identified skill levels are not met, the student may take remedial courses at the college or university of their choice and reapply to the program at a later date. An advisory board made up of representatives of utilities, contractors, business people and the LSCPF will be responsible for setting the program’s curriculum, recruitment, financial review and other advisory duties as needed. The current classes begin in August of each year with graduation in April. To apply, log on to www.nmu.edu and fill out an application online. Candidates will need to complete the skills assessment testing and participate in an interview session with the advisory board. Letters will be sent to all applicants indicating the dates and times of testing. We are currently accepting applications for the Fall of 2018 class. 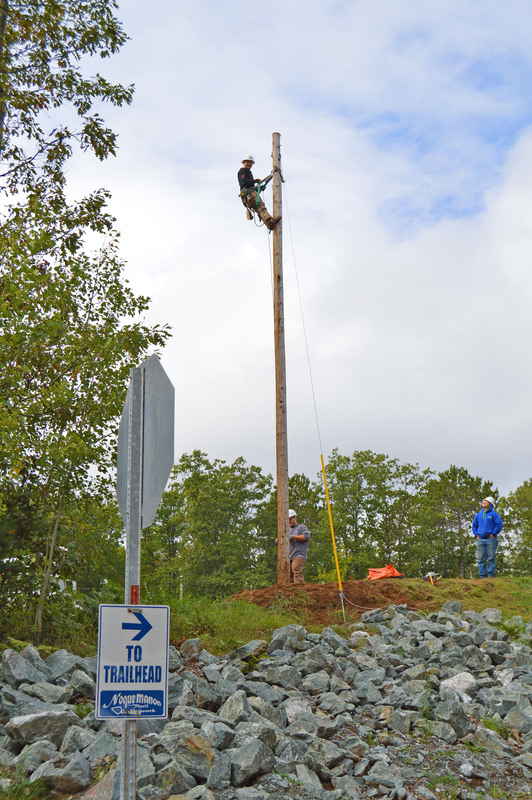 Check out Get Into Energy, a resource of employment and training opportunities in the lineworker field, as well as Touchstone Energy Cooperatives Web sites below for Employment opportunities. Successful applicants must be 18 years of age, have a valid driver’s license and be a high school or GED graduate. Students will be selected based on application, skills assessment and personal interview process. For more information contact the Lake Superior Community Partnership Foundation at 906-226-9658. 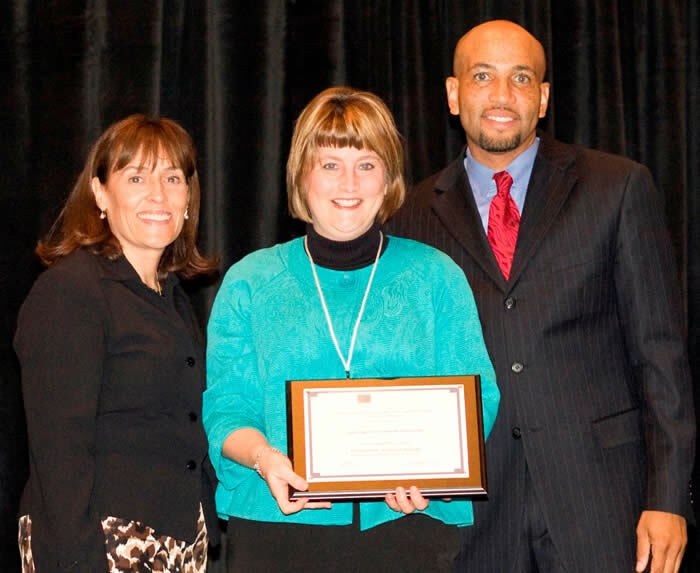 *Pictured from left are Robin Roberts Krieger, Executive Vice President, Greater Oklahoma City Chamber and Chair of the IEDC Board of Directors; Amy J. Clickner, Chief Executive Officer, Lake Superior Community Partnership and Todd Greene, Assistant Vice President, Community & Economic Development Research & Policy, Federal Reserve Bank of Atlanta and Chair of the Awards Task Force. 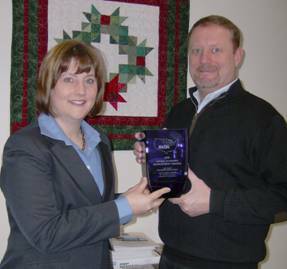 *Pictured holding the award are Lake Superior Community Partnership Chief Executive Officer Amy Clickner and Chairman of the Line School Advisory Board Brett French.